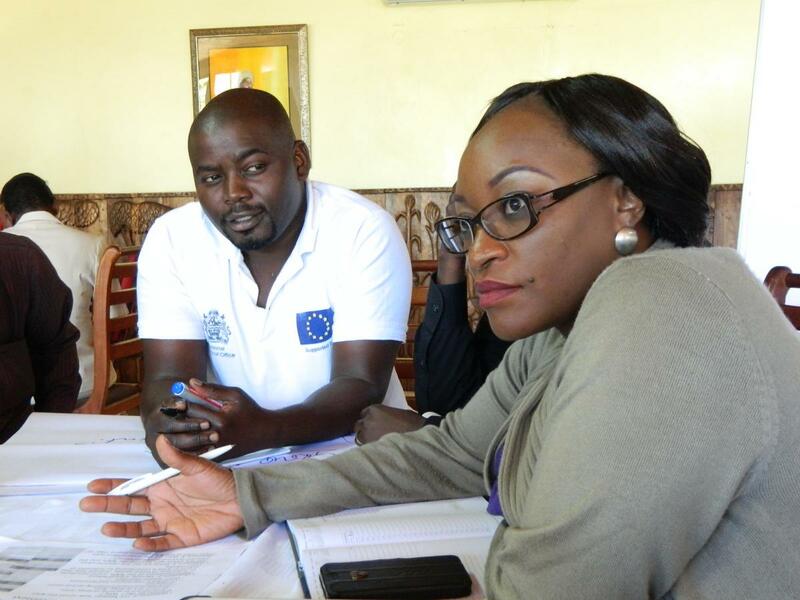 5 September 2014, Salima, Malawi: The Malawi NAP process was officially launched on 2 September 2014, followed by a NAP Training Workshop which took place from 3 to 5 September 2014 at the Livingstonia Beach Hotel, Salima, Malawi. 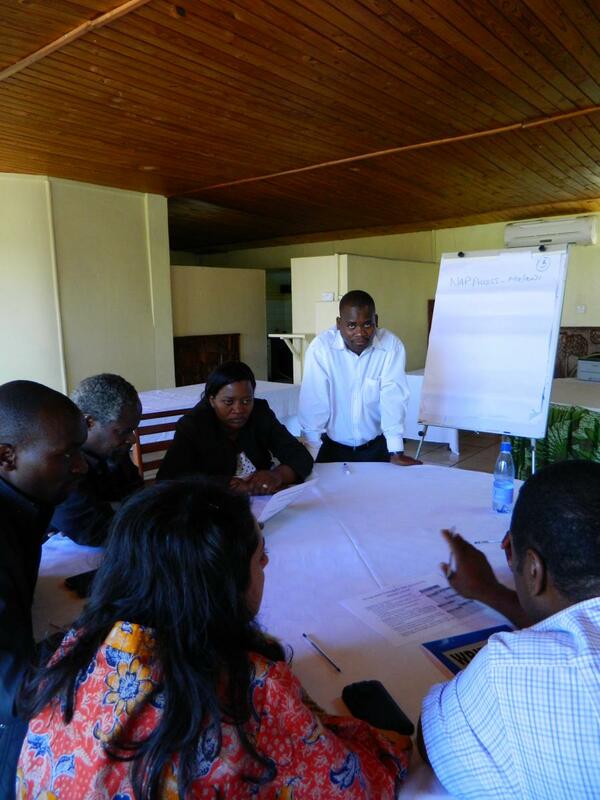 ‎The workshop was led by the Government of Malawi and organised by the national NAP team with support from the National Climate Change Programme, UNDP Country Office and GWP. Technical support was provided by NAP-GSP, UNDP and GIZ. The NAP launch was presided over by the Principal Secretary responsible for Environment and Climate Change Dr. Yanira Mtupanyama. It was attended by a wide range of 41 stakeholders from government, Civil Society Organisations and Networks in the relevant sectors. The NAP Training Workshop was an opportunity to plan and develop sectoral activities to support longer term adaptation planning. It also facilitated stakeholder dialogue to determine the appropriate institutional arrangements for the implementation of the NAP process. An important objective was to engage political decision makers and policy makers at the very start of the NAP process in Malawi. The workshop was spearheaded by the NAP core team, which is a 12 member multi-stakeholder government team which reports to the national climate change technical committee. During the workshop, the Government of Malawi indicated the specific requirement to address climatic information gaps, and also to enhance capacity for key people in government to use and update this climate information data for mainstreaming adaptation into national and sectoral planning. The Malawi NAP team requested NAP-GSP and partner agencies to provide experts in sectors to participate as resource people in the workshop and to remain engaged in the whole process. The goal of this three-day workshop held by the Government of Malawi was to identify the next steps to start its NAP process through multi-stakeholder engagement. The workshop developed understanding of the main aspects of the medium term NAP process and provided opportunities for reflection and discussion of lessons learnt from the ongoing climate change initiatives. Workshop participants analysed gaps in the climate change adaptation planning process in Malawi, and contributed to a broad-based discussion with key climate change sensitive sectors on defining a road-map for the NAP process. The participants of this workshop were representatives from climate change sensitive sectors, NAP-GSP partners, civil society, and bilateral/multi-laterals donors. Draft a roadmap to advance the NAP process.